Agilent 8648C Synthesized RF Signal Generator is ideal for manufacturing high-volume products such as cordless telephones, pagers and two-way radios. 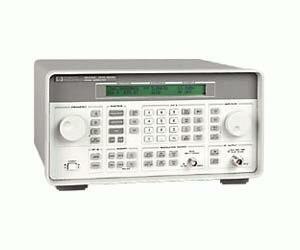 Designed for semi-automated receiver test, and a variety of general purpose applications, the Agilent 8648C starts with the basic capabilities of the Agilent 8647A, enhances residual FM, level accuracy and phase noise performance, offers optional pulse modulation and high power, and extends the frequency to 3.2 GHz. to any test procedure.